The new Natural Herb collection of Attipas baby shoes are made of organic cotton fabrics and are the perfect choice for sensitive little feet. The bright and beautiful pink colour is obtained using a brazilwood extract, while the classic light blue colour is created using a plant-based Indigo dye. Suitable for all seasons and with a soft touch feeling for healthy skin, the Attipas Natural Herb range will make your little ones feel as comfortable as they would be barefoot. 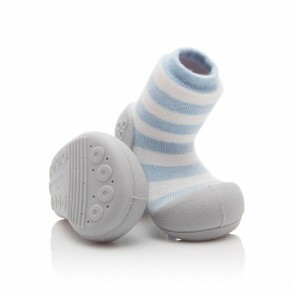 The beautiful and delicate colours make them suitable both for little boys and girls.